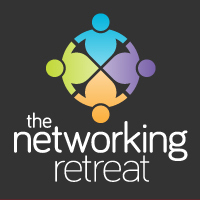 You might be booked for your very first business networking event, or you may be a veteran of networking meetings. But in either case, being prepared is as important as what you do at the meeting itself. If you want to feel more confident about the event, and how you present yourself, here are some simple steps I would really recommend you taking. If you’ve never been before, speak to the organisers in advance of the event. If you possibly can actually pick up the ‘phone and talk to them. Connect with other attendees on social media. If you can find out who is going in advance and build relationships with them, it will make a massive difference as they won’t be strangers when you arrive. Tips – Try a Twitter search to see who else is talking about the event or have a look to see if they have a Facebook page or group and join that. Find out what the dress code is. There may not be a dress code (in which case this article might be useful What should I wear to a business networking event). But there might be one, and if there is, you need to know in advance so you don’t turn up dressed incorrectly. Find out what the format of the event is. What time does it start and finish? Are you expected to be there for the whole meeting or can you drop in whenever you like? Will you be expected to perform a 40 or 60 second introduction? Can you take a banner or other marketing material? It is worth just understanding exactly what the meeting looks like, so that you know what else to prepare. Prepare your 40 or 60 second introduction in advance. You wouldn’t “wing” any of your other advertising or marketing, and what you say in your introduction at a networking event is vitally important. Make sure you have business cards, leaflets and anything else you are likely to need. Book time in your diary after the meeting to follow up with the people you have met – this is absolutely vitally important. 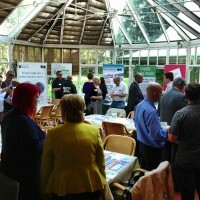 I’ve been to over 1000 business networking events in the last ten years. Whilst most of the ones I go to have a similar format, some are different and I always make sure I know that in advance, so that I can prepare. Then, when I arrive at the meeting, I am relaxed, confident, and know how the next few hours will pan out.